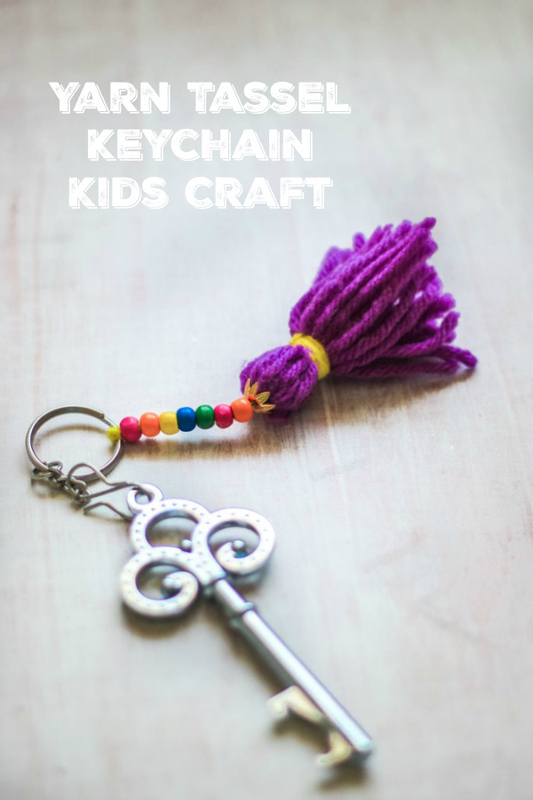 We’re making darling yarn tassel keychains for kids to make. 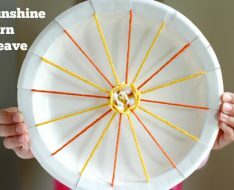 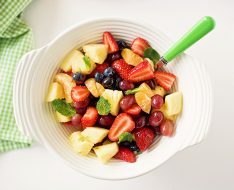 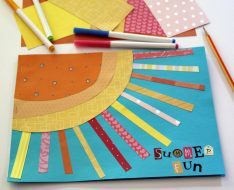 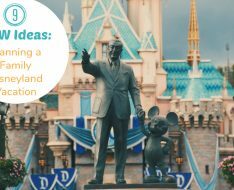 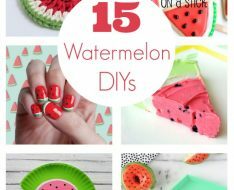 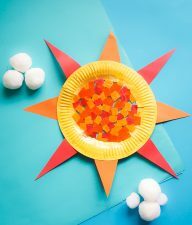 They are super simple to create, kids will probably want to make more than just one. 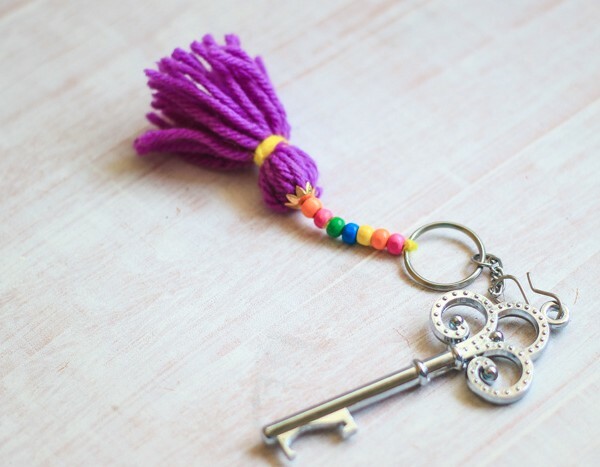 And with back-to-school upon us, these tassel keychains would be the perfect to hang on to your child’s backpack for some extra school flare! 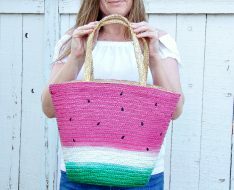 Ever since I bought my stash of super cute mini yarns in 24 colors last week, I’ve been on the hunt for even more ways to put my stash of yarn to use! 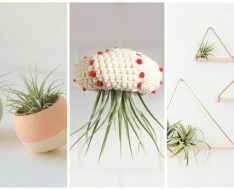 So I decided that I would start making yarn tassels for various DIY projects. 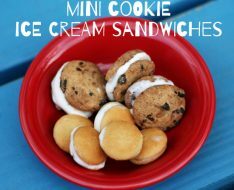 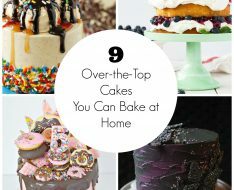 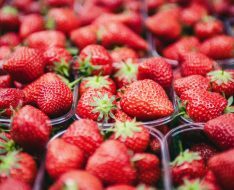 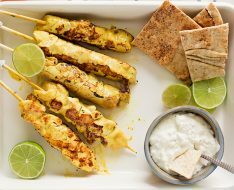 They’re incredibly easy to make and so satisfying to hold in your hands! 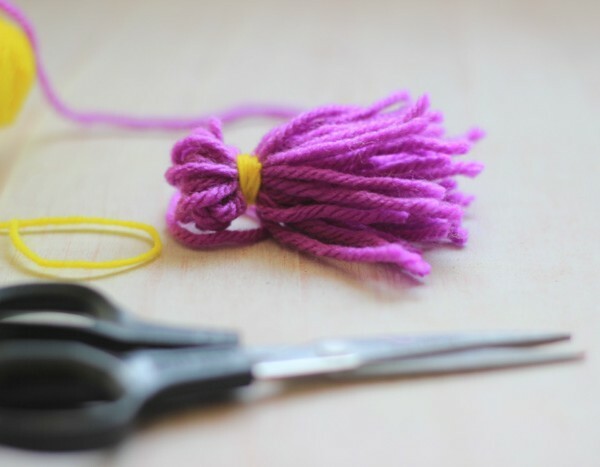 Gather together a ball of yarn, sharp fabric scissors, and a surface to wrap your yarn around (in this case, I used my fingers but it all depends on how big you want your tassels to be; the bigger the surface, the bigger the tassels).Wrap the yarn around your fingers about 40 to 50 times. 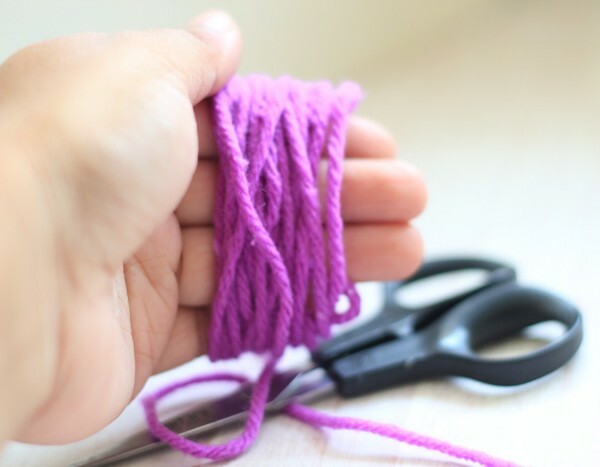 Carefully slide the yarn off your fingers. 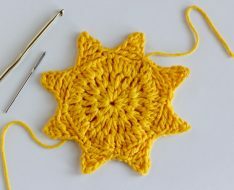 Cut the yarn circle at one end. 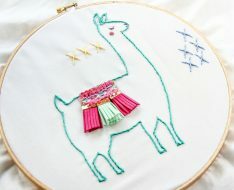 Wrap a yarn in contrasting color at the top, near the uncut end. 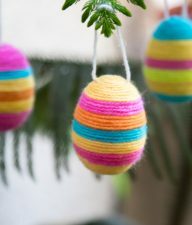 We wrapped the yellow yarn a couple of times and secured it with a double knot. 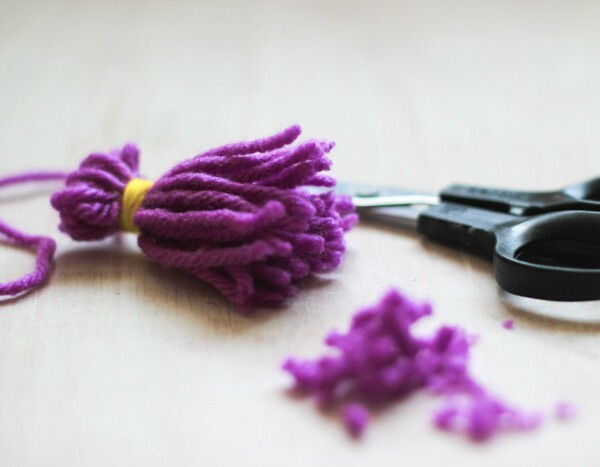 Trim the lower end of your tassel with a sharp scissor to make them more even. 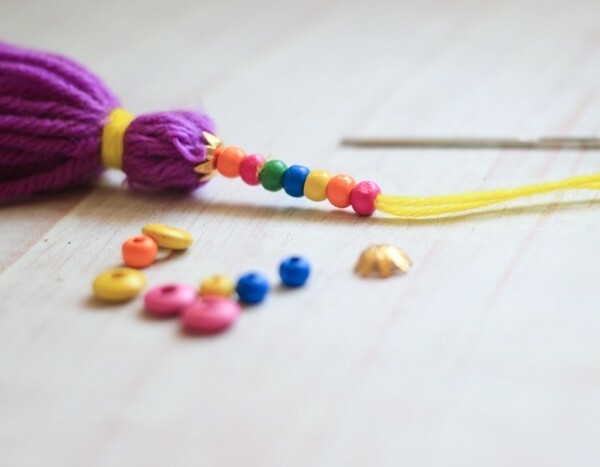 Using a needle and some wool threaded through it, start adding your colorful wooden beads to the top of your tassel. 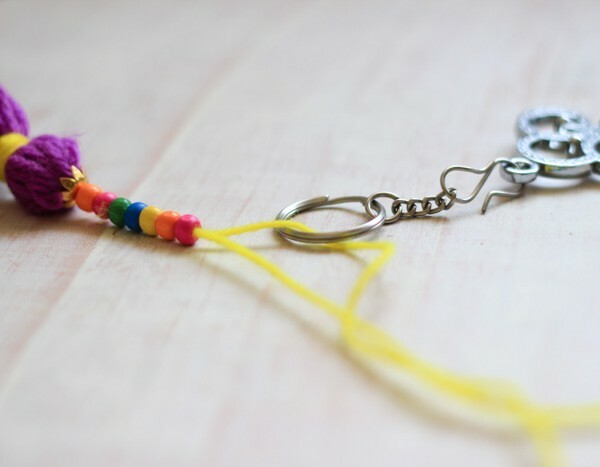 We added about 8 – 10 beads to our keychain. 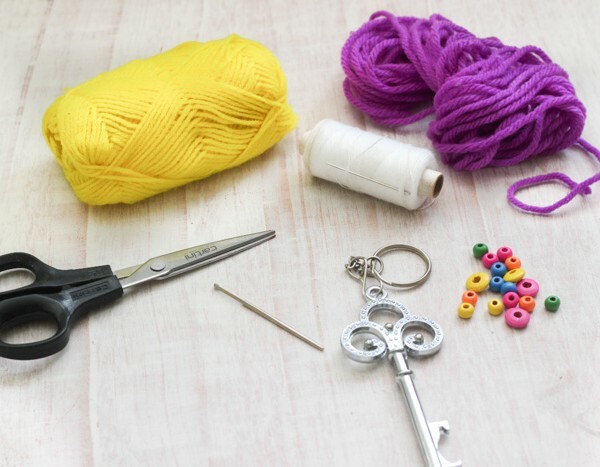 Now loop the yarn tightly through the keychain ring and secure it with multiple knots. If you’re always misplacing your keys and having a hard time fishing them out of your purse, this Tassel Keychain is perfect for you! 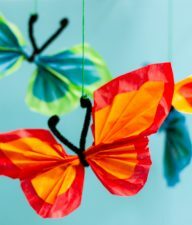 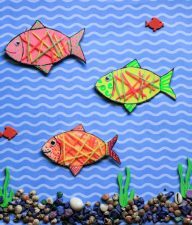 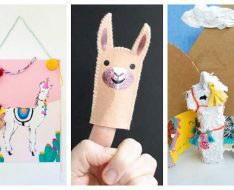 Want more yarn inspired kids crafts?